To ensure lab safety and regulatory compliance, you need to accurately track and manage your chemicals and hazardous materials on an ongoing basis. 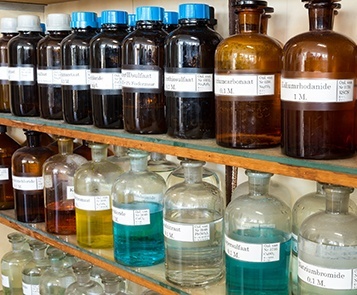 Do you have a chemical inventory program in place, and is it effective? Relying on spreadsheets to track your chemicals is cumbersome and error-prone, yet selecting chemical inventory management software can be complicated and time-consuming. Design your chemical inventory program – Our experienced team will assess your unique needs, current processes, existing workflows, and regulatory compliance to develop a comprehensive chemical inventory plan. Provide the software to easily manage your chemicals and safety data sheets (SDSs) – The flexible, subscription-based software tracks chemicals and SDSs, creates detailed data, and generates regulatory reports. We ensure the chemical inventory software’s successful roll-out and provide web-based training and ongoing support. Launch and operationalize your program – Our team initially loads your chemical data and SDSs into the software. We reconcile barcodes, add missing barcodes and SDSs, and check the data for accuracy. Provide ongoing maintenance of chemical inventory and SDSs – We offer comprehensive operational support based on your needs – ranging from being on-site daily to receive and barcode chemicals to performing annual reconciliations. Our intimate understanding of research labs and chemical inventory programs, coupled with chemical inventory management software, makes Triumvirate the only company that can design, implement, and support all aspects of your chemical inventory program. Contact us today. Discover how to build, operationalize, and improve your chemical inventory program.